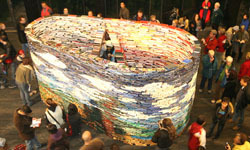 From NUIT BLANCHE to HALLOWEEN…prepare for some brilliant and unusual experiences! No cover – cash bar! Big Rude Jake and the Amazing Anneliese tie the knot earlier that day…and this is their official wedding party! Live music will be performed, courtesy of Tony Quarrington, John Sherwood, Ross MacIntyre and friends; and will include tons of guest singers including Julie Michels, Serafin, Melissa Loren, Lyne Tremblay, Dave Howard and many others. Jaymz Bee will be spinning great dance music in between live acts. There is no dress code for this party! Anneliese encourages women to wear their old wedding gown or bridesmaids outfits…but ballet tutus, blue jeans or pajamas work too! Jake says he loves the idea of a man in a tuxedo beside a kid in a track suit. Anything goes! Pop by for a quick drink and toast the newlyweds or stay all night and enjoy a wide variety of music! Remember this LP? It remains one of the most famous jazz recordings of all time. Take Five indeed! 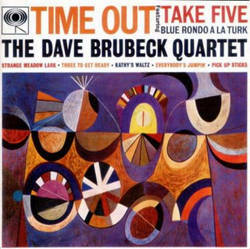 Dave Brubeck is one of the most influential jazz musicians and composers of our time, and celebrates the 50th anniversary of his ground breaking album "Time Out" this year. Called “a Living Legend” by the Library of Congress in the U.S. Dave continues to perform around the world at the age of 88. The day before his show in Markham, Mr. Brubeck will be recognized by U.S. President Obama at the 2009 Kennedy Centre Honors Gala. This show is part of the 25th Anniversary of Markham Theatre and will also feature Brubeck’s regular band members, Bobby Militello (alto sax and flute); Randy Jones (drums); and Michael Moore (bass). Michael Danso flies in from the U.S. just in time to sing at Lula Lounge October 8th. This concert is for those who have donated generously to JAZZ.FM91; a not-for-profit, registered charity. Those who have donated $500 or more are offered a Jazz Safari™ (as a thank you gift) which is a tour of five Toronto jazz clubs on a mini-coach, hosted by Jaymz Bee. Many have chosen this One Stop Safari instead of the club crawl; preferring to stay in one stop and allowing dozens of jazz vocalists to come to them instead. All donors are allowed one guest. Singers such as Maureen Kennedy, Shannon Butcher, Michael Danso and June Garber will be backed up by Richard Whiteman (piano), Ross McIntyre (bass), Mark Kelso (drums) and Christopher Plock (saxes). If you would like to attend this event, contact aliddell@jazz.fm to make a donation of $500 or more to JAZZ.FM91. If you can't make October 8th, there will be a similar event in March. 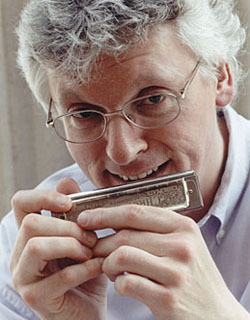 Hendrik Meurkens has just been nominated for a 2009 Grammy and has been called "the greatest living harmonica player since Toots Thielemans"! Canada’s longest running jazz series returns for its 34th season with eight more concerts at The Old Mill Inn. This series always sells out so get your tickets now. Diana Panton tickets for her show October 26th are almost sold out…and one of the world’s greatest chromatic harp players (jazz harmonica), Hendrik Meurkens, will be up from The U.S. on November 16th. Hendrik was born in Germany, studied in Brazil and is currently based out of New York City. 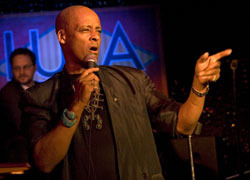 He and his phenomenal band are sure to entertain and amaze. Tickets are $35 in advance or $30 for JAZZ.FM91 members. Once you have tickets, if you would like to make dinner reservations please contact the venue directly at 416.207.2020. Brazilian singer songwriter Luanda Jones launches her debut CD - backed by Toronto's leading Brazilian players. Luanda delivers a uniqe blend of bossa, MBP, jazz, funk and samba. The evening includes feature performances by Choro Brazil and Batucada Carioca. 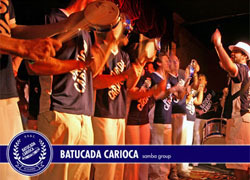 The foundation of Batucada Carioca's music is a heavy percussive swing, with the melodic accompaniment of cavaquinho, guitar, and trombone as well as various singers from Toronto's Brazilian community. Their repertoire includes songs by Beth Carvalho and João Nogueira, as well as classics such as a breathtaking instrumental rendition of Aquarela do Brasil ... not to mention the greatest past Carnaval themes, immortalized in Brazil's free-spirited collective musical culture, which will prove once and for all how Brazilians come to be so light on their feet! On October 30th why not celebrate Halloween early with a great dance party? Jaymz Bee will act as DJ to hundreds of fun-loving freaks who will dance the night away while enjoying incredible desserts from LPK's Culinary Groove, also complimentary food (cash bar) and free parking. Tickets are $25 in advance, $30 at the door...and $20 at the door after 10pm, subject to capacity. 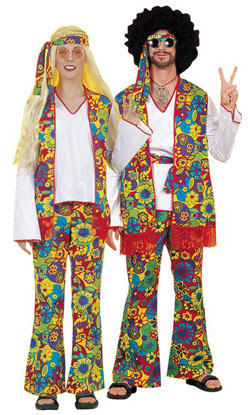 The night will feature dance music of all sorts, including hits from the 60's and 70's. Sachne Kilner just returned from meditating in India and loved it! A truly invigorating adventure in self-discovery! This three-month advanced meditation course explores applications and benefits of meditation in terms of health care, physiology and pain management. The program offers expert instruction by a life-long meditation and breath work (praanayaam) specialist who, growing up in India, has been intensively immersed in the discipline, philosophy and science of yoga and meditation. Sachne J. Kilner is an internationally certified Yoga and Meditation Instructor and Teacher Trainer who was raised in the Himalayas with Yoga as a lifestyle and focus of study. She has an M.A. in Yogic Sciences from West Bengal India, is also available for private, group, corporate, and phone sessions. Every Tuesday from 7-9 p.m. and alternating Saturdays 4-8 p.m. Participants will receive a Certificate at the end of the program. The total cost of $1195 includes podcasts, CD’s and online support for the full three months. Payment plans available. Deposit required for registration.